Seriously, Daredevil is like my second favorite Marvel character! I've loved every Marvel Netflix show so far so my hopes are high for Daredevil season 3. It's great to see Wilson Fisk come back in a more prominent role too. He was barely in season 2. I liked Iron Fist but it does take a bit longer to get going and some of the fight scenes weren't good. Season 2 was really good though and the fight scenes are of a much higher standard. Have you seen the show the gifted on FOX? I've never even heard of it. What's it about? The Gifted is an American television series created for Fox by Matt Nix, based on Marvel Comics' X-Men properties. It is connected to the X-Men film series, set in an alternate timeline where the X-Men have disappeared. The show is produced by 20th Century Fox Television in association with Marvel Television, with Nix serving as showrunner. The series stars Stephen Moyer and Amy Acker as ordinary parents who take their family on the run after they discover their children's mutant abilities. Sean Teale, Natalie Alyn Lind, Percy Hynes White, Coby Bell, Jamie Chung, Blair Redford, and Emma Dumont also star in the show, with Skyler Samuels and Grace Byers joining them with the second season. The series received a put pilot commitment at Fox after a previous attempted X-Men television series did not move forward at the network in 2016; The Gifted was ordered to series in May 2017. The Gifted's first season aired from October 2, 2017, to January 15, 2018, and consisted of 13 episodes. It received mostly positive reviews from critics and "solid" viewership. In January 2018, the series was renewed for a 16-episode second season, which began airing on September 25, 2018. After Days of Future Past, the X-Men series has become a non-entity to me. I don't think the characters are interesting enough. Bryan Singer did a great job with the first two movies but everything after that is very "meh". The sooner Marvel get the film rights back, the better. The Gifted isn't great, but I like it more than the last nine X-Men films. 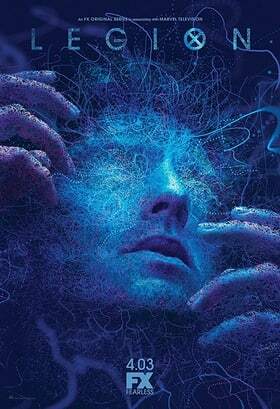 The other X-Men TV show, Legion about Charles Xavier's son is by far the best handling of an X-Men property by FOX. I rated season one a perfect score. I'll binge watch season two as soon as I find the time.